In the midst of thrillers, period pieces and mysteries, Best Chicken provides a fluffy romance that the audience can’t help but love. With one episode already aired, the show seems to present the cutest romance story that the world has to offer. Park Sun Ho as Park Choi Go plays the character of a young man that wants to own a chicken restaurant whereas, Kim So Hye plays the female protagonist Seo Bo Ah who wants to become a webtoon writer. Seo Bo Ah is a shut in, who isolates herself in the bath house her grandfather left for her and thus will need to open her heart to the warm Park Choi Go; only together, with each other’s support can the two achieve their dreams. This drama is set in the Joseon dynasty and revolves around the turmoil and political struggle faced by King Lee Hun. 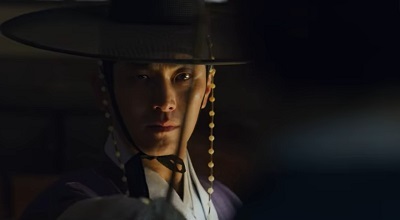 In order to escape assassination, King Lee Hun is replaced by Ha Sun, a clown that is identical to the reigning king. 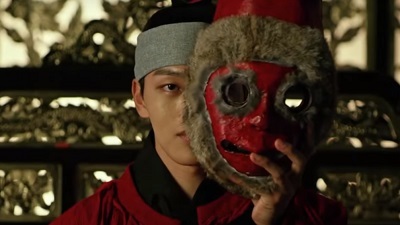 The characters of Lee Hun and Ha Sun are played by the incredibly talented Yeo Jin Goo. He will be joined by actress Lee So Young, who will play his love interest, Queen Yoo So Yon. What’s The Problem, Poong Sang? is a slice of life comedy that revolves around the character of Poong Saang, which is to be played by Yoo Joon Sang. In this drama Poong Saang has to support his four younger siblings and has to provide them what their parents failed to. The story is filled with heart rendering moments, as the siblings, under Poong Sang’s watchful eye, learn to be responsible and follow their dreams. The drama also features Oh Ji Oh as Lee Jin Sang and Jeon Hye Bin as Lee Jung Sang. Do you like period dramas? Do you like Zombies? If you checked yes on both of those questions, then Kingdom is sure to be on your favorite’s list this year. This Netflix production is based off of a webtoon called ‘Burning Hell Shinui Nara’ which is written by Kim Eun-Hee. Like most period dramas it won’t be tackling the typical political issues and romance tropes but rather the crown prince finds his kingdom to be infected with a mysterious plague like disease that causes his subjects to behave violently. The crown prince thus must find a cure for this disease before his kingdom falls in ruins.This drama features, Ju Ji-Hoon as the Crown Prince, Ryoo Seung-Ryong as Jo Hak-Joo, and Bae Doo-Na as Seo-Bi. This drama revolves around the commonly used and rarely well-executed switched bodies trope. It tells the story of two women who find themselves trading places with one another; Kim Bo Mi, played by Lee Yoo RI, is a selfish and self absorbed TV news anchorwoman whereas, Lee Bom played by Uhm Jee Won is a former actress and a Lawmaker’s wife. Considering the main leads are capable women, I suspect this drama will fare better than most of its kind. 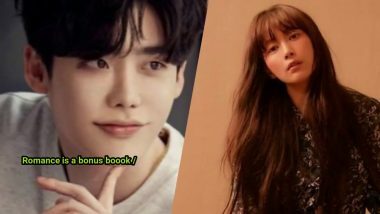 This series stars Lee Jong Suk as Cha Eun Ho and Lee Na Young as Kang Da Ni. The drama revolves around Cha Eun Ho, who is not only a highly capable writer and the youngest ever chief editor of his publishing firm but also a warmhearted individual and understanding boss. In contrast to him is the character of Kang Da Ni, who in spite of her great educational and professional background is jobless and out of money. Kang Dani, by lying about her background in her resume manages to land a job in CHa Eun Ho’s company and from there, their relationship blossoms. After the sensational hit that was Goblin, many fans felt that they needed more interactions between the secondary couple. This drama provides us exactly that and much more. Personally this drama is the one that I am most hyped for and with actors like Lee Dong Wook and Yoo In Na, one can’t go wrong. The drama revolves around Yeon-Seo, who is an actress but isn’t very talented; Yeon-Seo gets offered to play the role of a lawyer’s secretary in a movie, but to prepare for that role she needs to work in a law firm as a secretary to a lawyer named Jung Rok. Jung Rok at first wants nothing to do with her, but with time his heart thaws. Babel is an intense mystery drama with a sprinkle of romance.Park Shi Hoo will be portraying the male protagonist Cha Woo-Hyuk, who as a child endures the death of his father and witnesses his mother take her own life due to depression. As an adult he realizes that a big company might be involved in the death of his father and thus becomes determined to get revenge. Han Jung-Won played by Jang Hee Jin is a top actress who becomes the prime suspect of her husband’s murder. The two protagonists fall in love with each other as Cha Woo-Hyuk uncovers the truth of his father’s death. Legal High (Korean Remake) features two different lawyers, Jin Goo as Go Tae Rim and Seo Eun Soo as Seo Jae In. One of them is a lawyer with a 100% success rate and the other has an extremely strong sense of justice. Though from the initial impression it doesn’t seem to be something sensational, but who knows maybe through strong writing and acting this drama can turn out to be one of the best k-dramas this year. Hatch is another historical drama is set within the Joseon period and revolves around four individuals that unite to make Prince Lee Geum the king and bring forth reforms to the Sahunboo (Public Prosecutor’s Office). The drama presents a cast with colorful characters that have their own set of peculiarities, strengths and weaknesses. Yet however different the four individuals are from one another, they are able to work together in order to give the throne to the rightful heir. maneuvered correctly I think it will definitely be a series worth watching. I can’t wait to see how this drama pans out! Next up on the list is a mysterious comedy series by the name of ‘The Fiery Priest’. Kim Nam Gil will be taking on the role of a Catholic Priest with severe anger issues, whereas Kim Sung Kyun will be playing the role of Koo Dae-Young, a detective from the Gudam Police Station. These two clashing personalities will unite in order to solve a murder case of an elderly priest. Lee Ha Nui, Go Joon, Geum Sae Rok and Jeon Sung Woo will also be joining the drama as supportive characters. This drama has quite a unique plot and can potentially be one of the greatest k-dramas this year. The story line revolves around Kim Hye-Ja who is an incredibly sincere and honest person and dreams of becoming an announcer. The protagonist will be played by Han Ji-Min, a seasoned and talented actress. 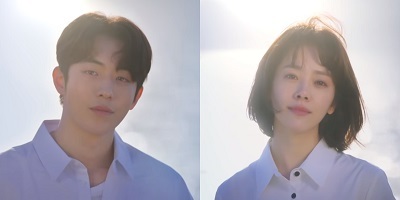 In the drama, Kim Hye-Ja wakes up one days and realizes that she has not only become a 70-year old woman but also has acquired the ability to manipulate time.Nam Joo-Hyuk will be playing the character of Lee Joon-Ha, a man who dreams of becoming a reporter but now spends his days without any semblance of hope. If you like a big healthy dose of drama then ‘Big Issue’ is the perfect k-series for you. The premise of this drama includes the hard and fast world of media and paparazzi. 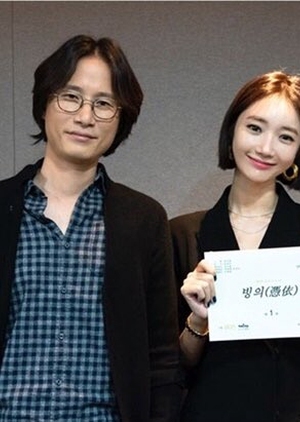 The story revolves around a man, Han Seok Joo, played by Joo Jin Mo, who loses not only his job but also his family due to a certain ‘leaked’ photograph.Han Ye Seul as Ji Soo Hyun portrays the character of paparazzi group’s chief editor. I really like the premise of this drama, as the cut-throat field of paparazzi gives the drama much room for intensely emotional plot development. 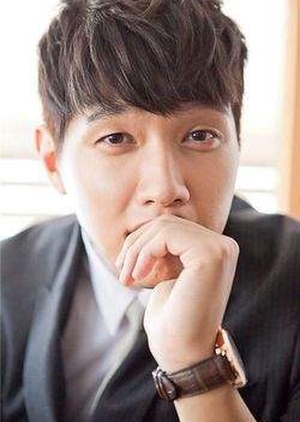 We’ll be seeing Ji Hyun Woo as the main lead once again in a new romantic drama called ‘I Love When I’m Sad’. Hopefully this time around, the plot and story line will be stronger than ‘Risky Romance’ and we’ll get to see Ji Hyun Woo in his element. 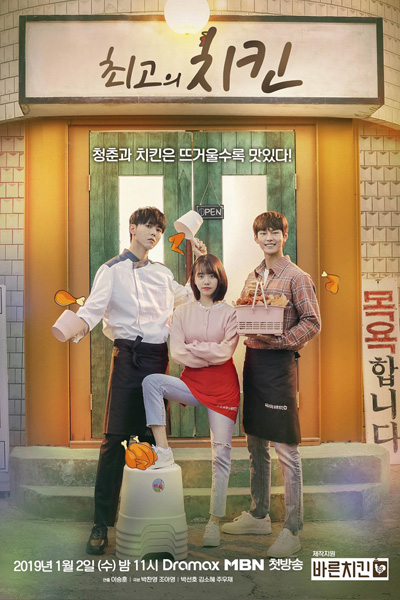 The plot line of this drama is immensely interesting and involves a series of chases.The drama is about a woman who is being chased by a man, and a man who hides her. If that doesn’t sound interesting I don’t know what does. Park Han Byul, Ryu Soo Young and Wang Bit Na will also be accompanying Ji Hyun Woo as main leads. So there you have it, the full list of upcoming k-dramas in January and February of 2019. I honestly can’t wait to watch all of these dramas, but the ones I am most excited for are ‘Touch your heart’, ‘Spring Must Be Coming’ and ‘Kingdom’. I hope we find a lot of great gems that are worth watching ; with actors like Lee Dong Wook, Song Joong Ki ,Kim SoHyun and Jang Dong-Gun taking center stage this year, I can already tell that we are in for a treat! What korean dramas are you looking forward to in 2019? Let me know in the comment! What about MEMORIES OF ALHAMBRA??? Can You Please Release 2019 Last Part Of The Prince Of Legend, Time Teach How To Love, Toyko Coin Laundry, Long For You, After The Show Ends,Prince Of Wolf, Wanna Be A Superstar, Yes! Mr. Fashion, Suspicious Partner, Master Devil Don’t Kiss Me, I Love My President Though He A Psycho, And About Is Love, And Please Upload It With English Subtitles. love it TOUCH YOUR HEART waiting ep.15 please……………………………. ‘He is Psychometric’ is also a very nice drama with an interesting plot! I’m a bit biased as an IGOT7, but Park Jinyoung is a really nice actor and the story is also full of mystery. Shin Ye Eun is doing a really nice job too!